Having spent my younger years with an "All-American-Five" portable radio in one hand and a "White's Radio Log" for AM Broadcasters in the other, for hundreds of sleepless Winter nights, I was destined to become a "Ham". That happened in 1966 at the age of 16 years under supervision of my father the late WA7BNG. I was issued the call WN7GCI and my brother WN7GCJ who is now WA7BNG. I soon became WA7GCI when I passed my General Class License. In 1978 I had traded in my old callsign for KG7D which I used until 2005. 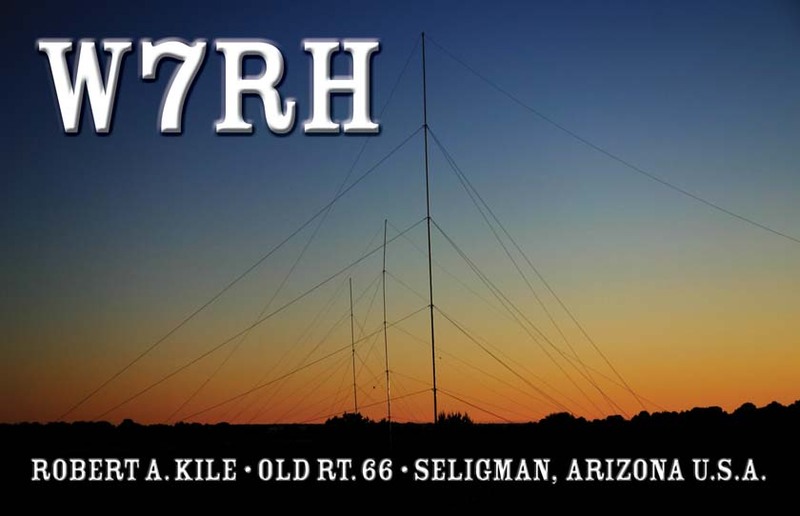 In that year my callsign became the current W7RH. My early years of Ham Radio were very diverse and I enjoyed just about all the facets of the hobby at a young age. 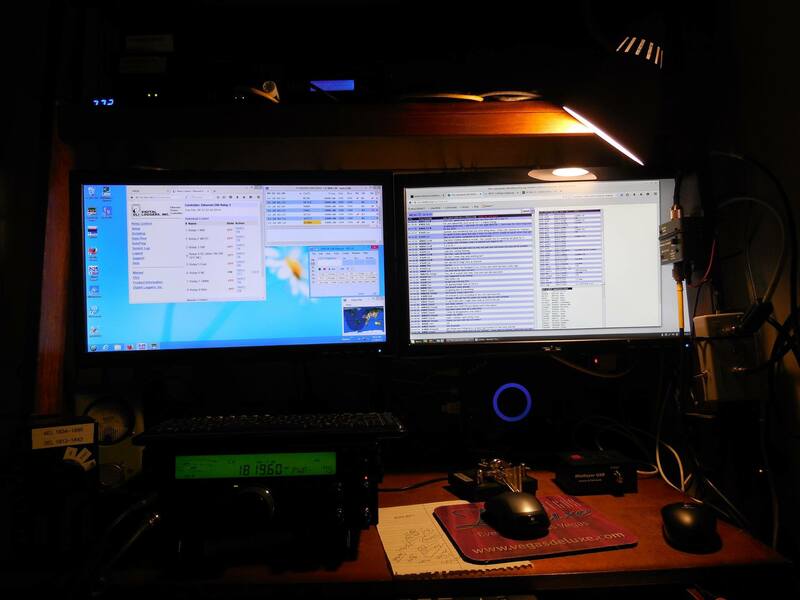 In the Winter of 1973 the late Craig Moore WA7ILC, introduced me to 160 meters. I was present during a CQWW 160 CW contest. I didn't know it immediately, but I was exposed to the serious world of 160 meter Contesting and DX'ing which remains my greatest interest today. Far from the big city lights and subject electronic noise we located a remote parcel in Northern Arizona. In the fall of 2005 with the help of my wonderful wife Johnna we began construction. This encompassed perimeter fencing of 6.5 acres for the antenna corral, installation of a shelter, a complete off grid solar and wind power system with mobile 4G internet. The station as it is today was completed in the fall of 2007 when all five of the verticals became commissioned. The station was designed to be sustainable by just one person as there a few folks around to help in this remote area of Arizona. The goal, maximum performance from short vertical antennas, and to be competative in the single operator low power category. In all aspects this has been acheived. During the Winter 2007-2008 season over 120 countries were worked using 100W. This is no small feat from the West Coast of North America. It has many unique details, trials and tribulations. It also is by far the most rewarding project I've completed. Chances are very good that if you work W7RH and it is not a contest operation, the operator himself is at the keyboard of the computer screen as seen on these pages, with the comforts of home in Las Vegas. The author worked for over two decades in the Amateur Radio industry in sales, service and customer support. Retired as a Systems Engineer for a government contractor after 20 years in February 2017. In the following pages I will describe the basic installation, setup, network layout and control of the remote station. Links to specific manufacturers and vendors will be provided.